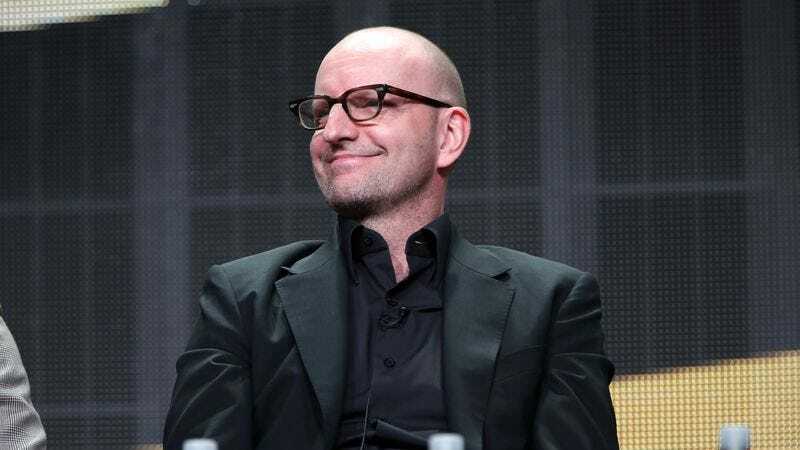 Steven Soderbergh’s brief and productive retirement as a director of feature films will officially come to a close this summer. His movie Logan Lucky, about a heist at a NASCAR race, will debut August 18, Entertainment Weekly reports. In a statement via EW, Soderbergh explained that the film is not merely a chance to see Channing Tatum and Adam Driver play robbing brothers, but is also part of an experiment in release strategy. “This is the result of 16 years of conversations I’ve had with Dan [Fellman] about creating a new distribution paradigm for star-driven, wide release projects,” he said. “With Logan Lucky, I have the right movie, the right team, and the right partner in Bleecker Street to test some personal theories I’ve accumulated. It’s put-up-or-shut-up time.” So maybe it will entertain and also, you know, save cinema.